14200 LEASE CASH, wac 2MILITARY DISCOUNT! - ACTIVE AND PRIOR! 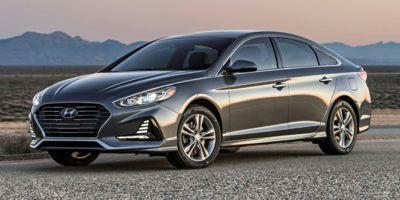 3VOC, MUST OWN A 2011-2018 MODEL YEAR HYUNDAI SONATA OR SANTA FE SPORT 410 YEAR / 100,000 MILE WARRANTY! AMERICA'S BEST! 50% X 84 MONTHS, 25,000 MAX AMT FINANCED, wac, MUST BE TOP TIER CREDIT, IN LIEU OF ALL REBATES AND DISCOUNTS. SEE DEALER FOR DETAILS. 6#1 HYUNDAI DEALER IN SOUTHERN COLORADO! 7WE WANT YOUR TRADE-IN! HAIL DAMAGED OR NOT! 8NO PAYMENTS FOR 90 DAYS, wac! 9¹ See your participating Hyundai dealer for more details on these special offers. Special limited time annual percentage rate (APR) available to qualified buyers on approved credit through Hyundai Motor Finance. May not be combined with other special offers except where specified. Only a limited number of customers will qualify for advertised APR or lease offer. Not all buyer will qualify. Finance contract or lease agreement must be signed no later than April 30, 2019. Please contact the dealer directly to confirm that the offer(s) apply to the vehicle displayed. All vehicle inventory subject to prior sale. 10¹ See your participating Hyundai dealer for more details on these special offers. Special limited time annual percentage rate (APR) available to qualified buyers on approved credit through Hyundai Motor Finance. May not be combined with other special offers except where specified. Only a limited number of customers will qualify for advertised APR or lease offer. Not all buyer will qualify. Finance contract or lease agreement must be signed no later than April 30, 2019. Please contact the dealer directly to confirm that the offer(s) apply to the vehicle displayed. All vehicle inventory subject to prior sale. 14000 LC, wac 2MILITARY DISCOUNT! - ACTIVE AND PRIOR! 3VOC, MUST OWN A 2011-2018 MODEL YEAR HYUNDAI SONATA OR SANTA FE SPORT 4¹ See your participating Hyundai dealer for more details on these special offers. Special limited time annual percentage rate (APR) available to qualified buyers on approved credit through Hyundai Motor Finance. May not be combined with other special offers except where specified. Only a limited number of customers will qualify for advertised APR or lease offer. Not all buyer will qualify. Finance contract or lease agreement must be signed no later than April 30, 2019. Please contact the dealer directly to confirm that the offer(s) apply to the vehicle displayed. All vehicle inventory subject to prior sale. 5¹ See your participating Hyundai dealer for more details on these special offers. Special limited time annual percentage rate (APR) available to qualified buyers on approved credit through Hyundai Motor Finance. May not be combined with other special offers except where specified. Only a limited number of customers will qualify for advertised APR or lease offer. Not all buyer will qualify. Finance contract or lease agreement must be signed no later than April 30, 2019. Please contact the dealer directly to confirm that the offer(s) apply to the vehicle displayed. All vehicle inventory subject to prior sale. 14200 LEASE CASH, wac 2MILITARY DISCOUNT! - ACTIVE AND PRIOR! 3VOC, MUST OWN A 2011-2018 MODEL YEAR HYUNDAI SONATA OR SANTA FE SPORT 4¹ See your participating Hyundai dealer for more details on these special offers. Special limited time annual percentage rate (APR) available to qualified buyers on approved credit through Hyundai Motor Finance. May not be combined with other special offers except where specified. Only a limited number of customers will qualify for advertised APR or lease offer. Not all buyer will qualify. Finance contract or lease agreement must be signed no later than April 30, 2019. Please contact the dealer directly to confirm that the offer(s) apply to the vehicle displayed. All vehicle inventory subject to prior sale. 5¹ See your participating Hyundai dealer for more details on these special offers. Special limited time annual percentage rate (APR) available to qualified buyers on approved credit through Hyundai Motor Finance. May not be combined with other special offers except where specified. Only a limited number of customers will qualify for advertised APR or lease offer. Not all buyer will qualify. Finance contract or lease agreement must be signed no later than April 30, 2019. Please contact the dealer directly to confirm that the offer(s) apply to the vehicle displayed. All vehicle inventory subject to prior sale. 1MILITARY DISCOUNT! - ACTIVE AND PRIOR! 2VOC, MUST OWN A 2011-2018 MODEL YEAR HYUNDAI SONATA OR SANTA FE SPORT 3¹ See your participating Hyundai dealer for more details on these special offers. Special limited time annual percentage rate (APR) available to qualified buyers on approved credit through Hyundai Motor Finance. May not be combined with other special offers except where specified. Only a limited number of customers will qualify for advertised APR or lease offer. Not all buyer will qualify. Finance contract or lease agreement must be signed no later than April 30, 2019. Please contact the dealer directly to confirm that the offer(s) apply to the vehicle displayed. All vehicle inventory subject to prior sale. 4¹ See your participating Hyundai dealer for more details on these special offers. Special limited time annual percentage rate (APR) available to qualified buyers on approved credit through Hyundai Motor Finance. May not be combined with other special offers except where specified. Only a limited number of customers will qualify for advertised APR or lease offer. Not all buyer will qualify. Finance contract or lease agreement must be signed no later than April 30, 2019. Please contact the dealer directly to confirm that the offer(s) apply to the vehicle displayed. All vehicle inventory subject to prior sale.